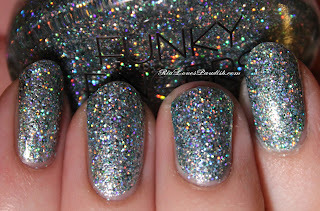 today we are looking at Nicole by OPI Rich In Spirit layered under Funky Fingers Flashing Lights. RIS is a gorgeous light blue foil. 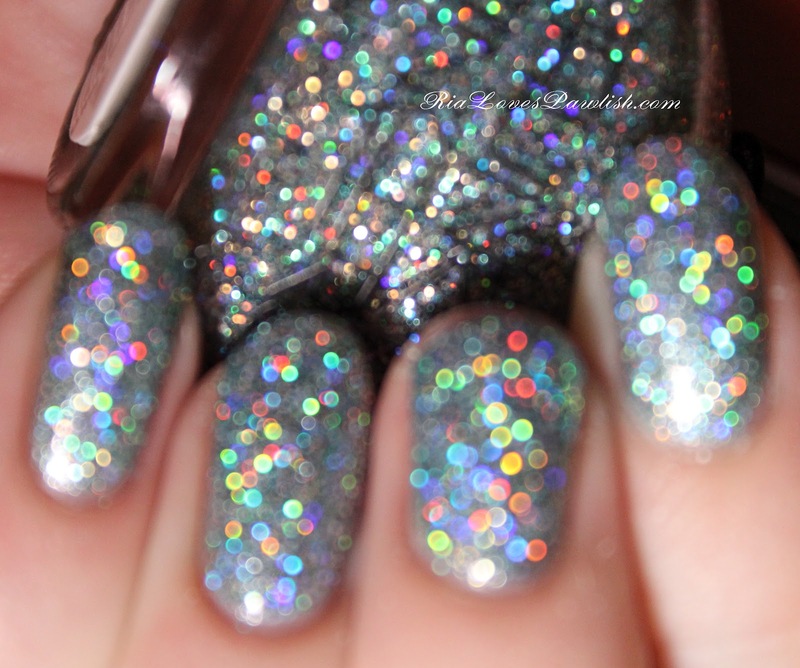 i almost took this one back after swatching it on a nail wheel, it looked like is was really sheer. i'm glad i went ahead and gave it a go as a manicure, i love it! 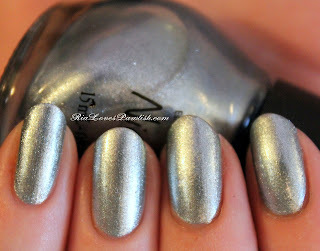 it took three coats to give complete opacity, but the formula was nice and didn't bubble or drag. one coat Seche Base, three coats RIC, one coat Seche Vite. two coats FL, topped with Seche Vite, sharply focused. slightly out of focus... are you drooling, yet? totally out of focus, but look at all that holo!!! 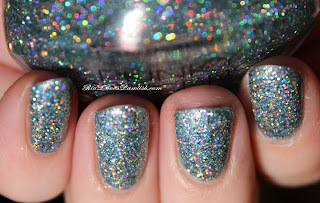 Oh my gosh, that glitter is gorgeous!!! It looks great over Rich in Spirit. I too, was a little of Rich in Spirit when I first purchased it, but ended up really liking it. i still can't believe that these glitters are three for $5!